Telzio phone menus enable you to automate incoming calls by providing callers with options to be routed to the right destination. 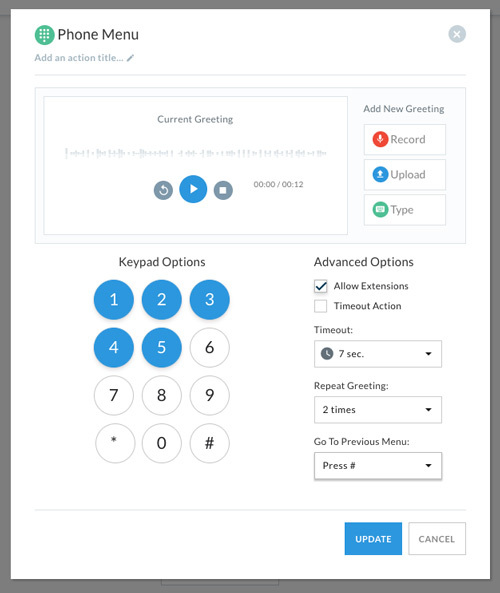 You can designate each number on the keypad to route callers to employees and departments, and create segmenting and scheduling to accommodate business hours and locations. This is how you create an automated attendant. In this article, you’ll learn about Phone Menus and how you can use them as part of your phone system. When we talk about Phone Menus, we use some terminology that you should familiarize yourself with before you get started. Numbers on a phone keypad that callers can press to be routed. The amount of time the caller has to select an option before being re-routed. The person, department, or place where you want callers sent. Here are steps to help you add your first Phone Menu. 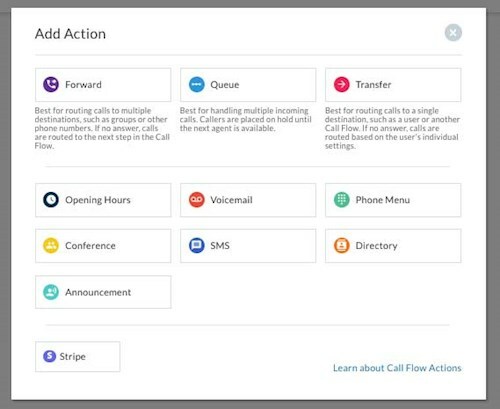 First you’ll need to pick a Call Flow to start with where you’ll add your Phone Menu. Click on the desired Call Flow to open it. 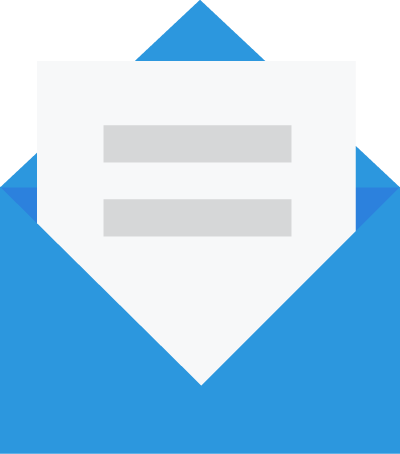 Click on Add Action to view the available Actions. Record a greeting directly through your browser, or upload an audio file from your computer. Click on the microphone to initiate a 3 second countdown to start recording. Click on the stop button when you have finished recording. Click play to hear your greeting. Click on the up arrow to choose a file from your computer. Click the desired keypad numbers to designate the caller’s available options. Mark this box to enable callers to dial an extension during the greeting. Mark this box to create another Action if the caller exceeds the Timeout period. Set the amount of time the caller has to make a selection. Replay the greeting to the caller up to 10 times. 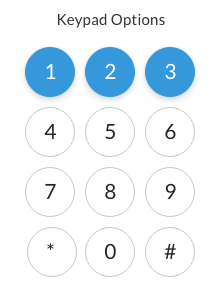 Designate a keypad option to take the caller back to the previous menu.